Mass Effect: Andromeda has been announced for release in Europe on 23 March 2017 on the platforms PlayStation 4, Xbox One and PC. We’re getting you up to speed on the stories from the first three games in the franchise. So here’s all you need to know about the Mass Effect 2 story, the second in the series. The game takes place in the Milky Way Galaxy during the 22nd century, where the human race is threatened with extinction by an insect hybrid called the Collectors. You take charge as Commander Shepard and play through a third-person perspective. You are immediately able to customise your character’s traits, skills and abilities. Following on from the first Mass Effect story, you are able to import saved characters from this initial game and inject them into the Mass Effect 2 story. 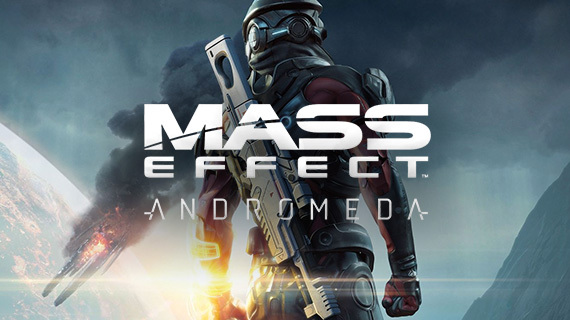 The second game in the series is actually connected to the original, with the events that unfold taking place just weeks after Mass Effect. You character is forced to abandon their vessel, as your playable character Shepard fails to escape the failing spaceship, he is blasted into space and dies a seemingly early and tragic death. That is, until his body is collected by a research station, which attempts to bring the late Shepard back from the dead. The team succeeds in this and two years later, a hazy and confused Shepard wakes to the sound of alarm bells. In the nick of time, Shepard’s character resumes their heroic position and works with the team to escape. Once the team escape, Shepard learns that human colonies have been disappearing all over the galaxy. Dun dun dun…. Now faithfully backed by his/hers new team, Shepard is sent to investigate a recent attack and finds evidence of the Collectors. Shepard now has a mission, to take down the Collectors, controlled by the Reapers from the first Mass Effect. Shepard goes on a galactic journey to take down the enemy with their loyal squad. If you want to catch up on the rest of the story before Mass Effect 2, be sure to check out the Mass Effect and Mass Effect 3 storylines. The Story for Mass Effect: Andromeda follows a brand new character by the name of Ryder and begins right after the events of Mass Effect 2 just before the Reaper invasion. Ryder begins his/her 600 year trip to the Andromeda Galaxy in cryo-sleep and wakes up as one of the first humans ever to explore the Andromeda galaxy. Mass Effect: Andromeda has been announced for release in Europe on 23 March 2017. We’re getting you up to speed on the stories from the first three games in the franchise. In order to get up to speed on the Mass Effect storyline before jumping into Mass Effect: Andromeda, here is what happens in the first Mass Effect game.